The developmental edit for Human Resources continues. 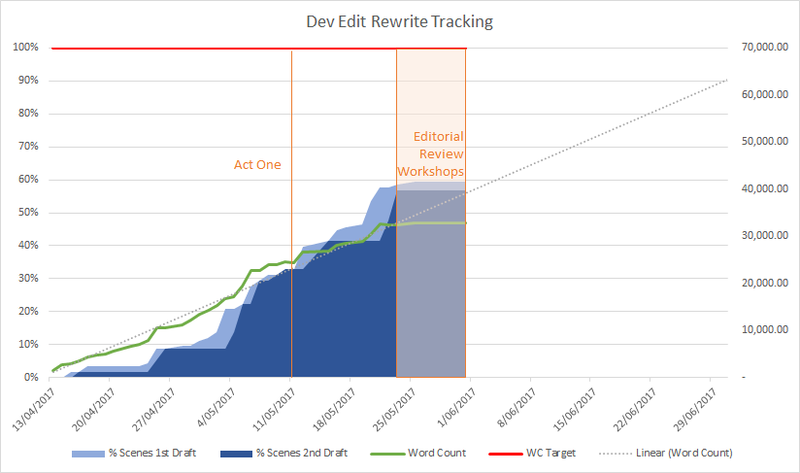 During the last month I completed Act One of the rewrite, handing it over to Inkshares and my editor to review and "course correct" before pushing on. I’m lucky to be working with such an engaged team who are working tirelessly to help me transform my rough-cut stone into a sparkling gem (of dark adventure). After reviewing the updated Act One, we have more changes to implement as we focus in on the core themes of the novel. That means a slight pause on the rewrite itself while the outline is tweaked further, then back into it with gusto. I think it’s been a few updates since I thanked you all. I have this opportunity because of your generosity, and I won’t forget it. Thank you — for your belief, support, and patience. This process is a marathon, but I’m continuing to drive through it and each day brings us closer to physical books rolling off the production line. BTW: If you haven’t seen it, Inkshares have a sci-fi themed competition running right now in partnership with Nerdist (https://www.inkshares.com/contests/nerdist-sci-fi-contest). There’s some great novels being pitched, so it’s worth checking out. I hope you all had an amazing Month — I’ll be back with another update at the end of June.